One of the most important things you can do for smooth and glowing skin is drink plenty of water. Your aim should be to drink 8 to 10 glasses of water a day. Water helps the body flush out toxins and waste. However, avoid sugary drinks, alcohol and carbonated drinks. Also try to eat fruits and vegetables that are high in water content. Washing your face at least twice a day with water will also help improve your skin’s health and appearance. Lemon juice can be used to cleanse your skin, lighten spots and scars, as well as soften and smooth it. This citrus-rich fruit contains cleansing enzymes that remove dead skin cells, leaving your skin smoother and fresher. With its excellent astringent properties, lemon is a great natural cleanser for people who have oily skin. To lighten dark spots and acne marks, you can use fresh squeezed lemon juice and apply it to your entire face and neck. Leave it on for 10 minutes and then rinse it off with lukewarm water. You can do this daily or several times a week. For soft, smooth skin, mix lemon juice from half a lemon and one egg white. Apply it to your face. Leave it on for 10 minutes and then rinse with warm water. Repeat once or twice a week. Fresh tomato is an excellent natural skin toner. It can also help treat pimples and blemishes. To make your skin soft and smooth, puree some fresh tomatoes in a blender or grinder. Apply the tomato paste to your face. Leave it on for 10 minutes and then wash it off with water. Daily use can help shrink enlarged pores and give you smoother, glowing skin. You can also use tomato paste to heal pimples. Apply it to the affected area and leave it on for an hour, then rinse it off. Honey is another natural ingredient that you can use to get smooth skin. Apply raw honey to your face and neck, leave it on for about 10 minutes and then rinse it off with cold water. This simple remedy will make your skin soft and smooth. Another option is to mix an egg white with honey and apply it to your face for 20 minutes. Wash it off with cold water and a delicate soap to remove the smell from the egg white. You can also make a thick paste with three teaspoons of honey and one-half teaspoon of cinnamon powder. Apply it to your face and leave it on overnight. In the morning, wash it off with lukewarm water. Tea tree oil has antibacterial properties that help fight acne-causing bacteria. It is also good for reducing scars and blemishes. Some people can be allergic to the oil, so it is highly recommended to try it first on your inner wrist area before applying it to your face. 1. To heal a pimple quickly, use a cotton swab to apply tea tree oil directly on the affected area every few hours. 2. 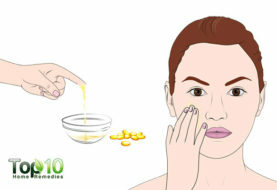 About one hour before going to bed, apply vitamin E oil and leave it on overnight. Aloe vera is another wonderful natural ingredient used in a number beauty recipes to maintain smooth and clear skin. It helps treat acne, fade blemishes and reduce wrinkles and fine lines. Extract the gel from an aloe vera leaf and apply it on your skin a few times a week. Alternatively, combine one tablespoon of aloe vera gel, two teaspoons of lemon juice and one teaspoon of honey. Apply this mixture on your face and neck and rinse it off after 15 to 20 minutes. You can use this face mask a few times a week. 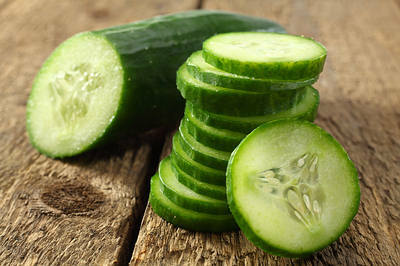 Cucumber contains great hydrating, nourishing and astringent properties. They have the same pH as skin so they help restore the skin’s natural acid mantle, which protects it from bacteria and other contaminants. Regular use of a cucumber face mask can prevent pimples, blackheads, wrinkles and dry skin. To make the face mask, mix two tablespoons of oatmeal, one-half pureed cucumber and a little milk. Apply the mask to your face and neck area, leave it on for about 20 minutes and then rinse with warm water. You can also use cucumber as a cleanser. Just mix cucumber juice with milk and use it instead of other cleansers. 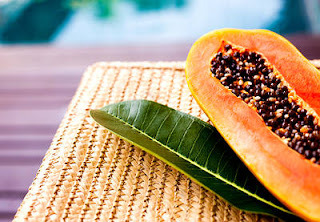 Papaya contains a natural enzyme known as papain that has antibacterial and healing abilities. The enzyme also aids in removing dead, damaged skin. To use papaya as a skin toner, mash a few pieces of ripe papaya and apply it as a facial mask. Keep it on for about 15 minutes and then wash it off with lukewarm water. Also, regular application of papaya juice helps reduce freckles or brown spots due to sun exposure. For extra skin lightening effect, mix a little lemon juice in it. 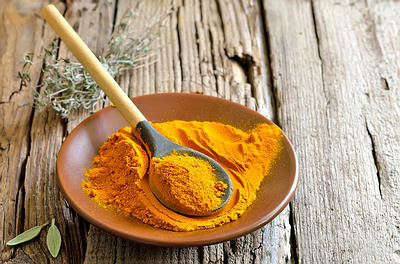 Turmeric is an herb that can be used to treat a multitude of skin problems. It can be used to lighten blemishes and pigmentation. Mix 1 tablespoon of turmeric powder with enough milk to make a paste. Apply it to your face and neck area daily for beautiful and flawless skin. To rejuvenate dry, parched skin, use a mixture of one teaspoon of turmeric, two teaspoons of sandalwood powder and sufficient water (you can also add rose water) to make a paste. Apply it on your face allow it to dry completely before rinsing it off. Use this face pack once or twice a week. 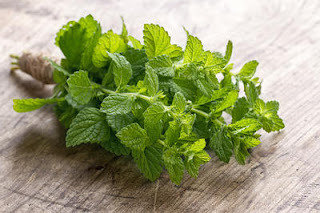 Mint can be used in a few different ways to improve your skin tone and reduces blemishes. Plus, it contains menthol that gives it a cooling effect. To get rid of pimples, apply fresh mint juice on your face every night. Another option is to grind a some mint leaves and add two tablespoons of plain yogurt to the paste. Apply it on your face and neck, leave it on for 15 minutes and then rinse it off. Do this a few times a week. These easy and inexpensive home remedies can help you achieve smooth and flawless skin. With a little patience and a regular skin care regime, you’ll get the soft and supple skin you desire. 0 Response to "Easy way to have a smooth skin..come here ooo! !b"